By the time FourTwoFour on Fairfax opened at noon on a cloudy, drizzly May 6th, the line for entrance stretched almost the football-length distance to Fairfax Avenue’s nearest cross-street. According to Billboard, shoppers had begun arriving at 6 a.m. They weren’t there for FourTwoFour’s everyday stock, nor was it release day for a limited-edition sneaker. 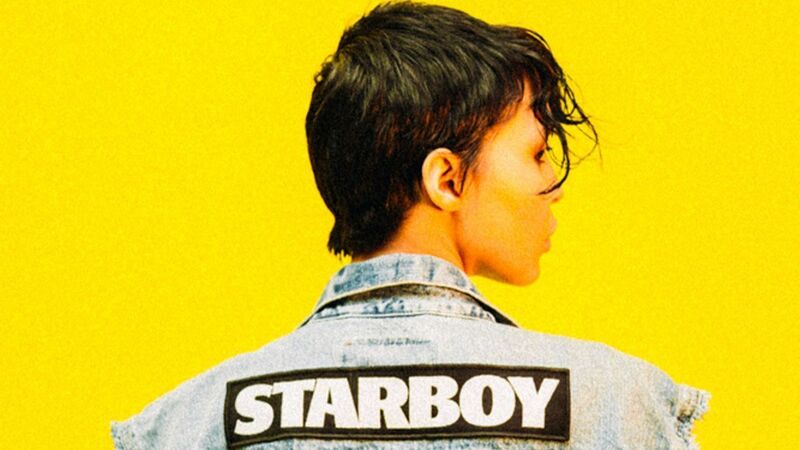 It was the debut of R&B artist The Weeknd’s capsule collection with jean jackets, hoodies, and t-shirts marked with his signature XO tag and “Starboy,” the name of his album and current tour. 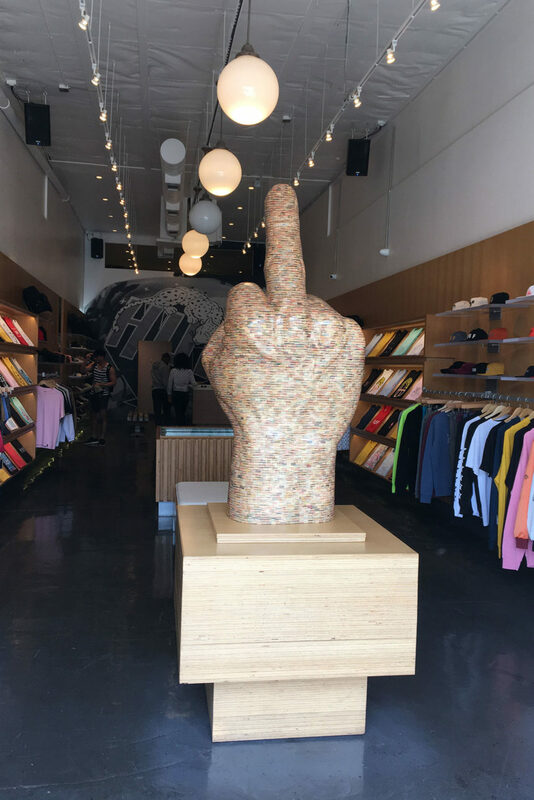 It was only the latest of a series of pop-up shops taking over storefronts along Fairfax Avenue, just a couple of miles away from The Hollywood Roosevelt. As what was once a sleepy stretch of pavement, lined primarily by Jewish businesses, has transformed into the streetwear center of the city, titans from the music industry have taken notice and turned everything from tour merchandise to fashion debuts into shopping events. The portion of Fairfax Avenue bound by Beverly Boulevard to the south and Melrose Avenue to the north has hosted pop-up restaurants and designer collection unveilings before. But musicians have found a particular home here in the last few years. Kanye West, Jay-Z, and Drake have each hosted pop-up stores, usually for a weekend, at various Fairfax Avenue storefronts. 2017 alone has seen emcee Big Sean—who hosted the 2016 Halloween party at The Roosevelt—and dance music kingpin deadmau5 literally set up shop. Why Fairfax Avenue, a stretch formerly best known for the presence of Los Angeles stalwart Canter’s Deli? It goes back—according to most—to Supreme, the streetwear giant, which opened a Fairfax Avenue location in 2004. At the time, the street did have some storefronts devoted to younger pursuits (hipster dive bar, The Dime, and alt-comedy mecca Largo), but nothing for the underage Angelino. Fast forward a decade and change, and brands like The Hundreds have taken up residence, along with a horde of brands jockeying to be the next big streetwear sensation. But the turning point may have come from LA hip-hop collective Odd Future. The merger of rap and skateboarding that the group represented was a perfect fit for the nascent streetwear hub. Tyler, the Creator, the unofficial frontman for the group, even rocks Supreme gear in some of Odd Future’s music videos. The collective opened a store in 2011, one that brought people from around the world to both shop and get selfies with OF members. Today, two years after the store’s closure, that address often hosts pop-up shops; dance music superstar Kaskade and chart-topping emcee Future both have held temporary sales at 410 N. Fairfax Ave., which is now home to streetwear brand HUF. 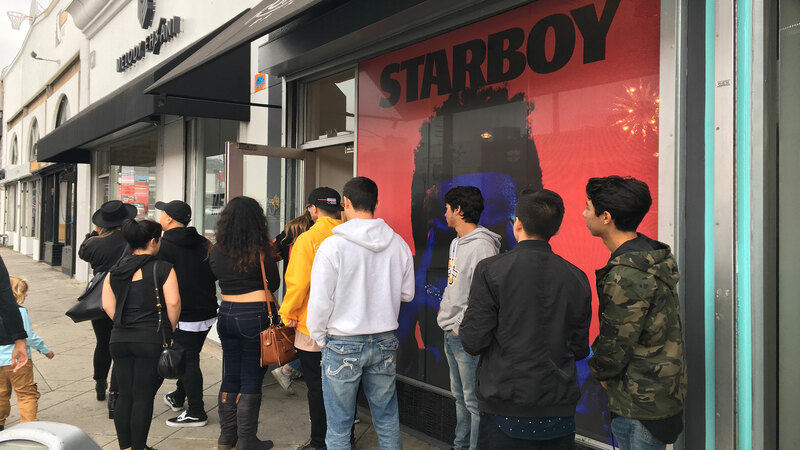 As for The Weeknd’s sale a few doors down, maybe a third of the fans who were there at the store’s opening still haven’t made it inside after 90 minutes. This is a crowd that’s come accustomed to standing in pop-up lines, though, and spirits are still high. After all, they’re in the streetwear mecca.